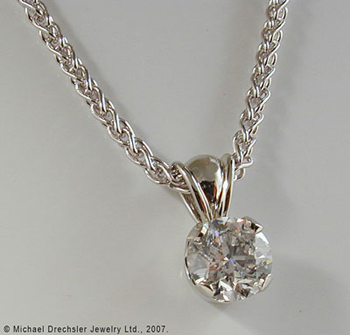 Our Custom Design Solitaire Pendant is hand made in 18 Karat white gold. Featuring a brilliant cut center diamond, this one makes a statement. Available in a range of diamond sizes. Call for an estimate to custom design your pendant.